"I knew I was going well, but not as well as this!" Alejandro Valverde (Movistar) finally opened his 2016 account in the most impressive fashion by riding to an amazing solo win at the top of the Alto Peñas Blancas on the final day of the Vuelta a Andalucia. Attacking seven kilometres from the top of the climb, he rode half of the ascent alone and managed to put 36 seconds into Bauke Mollema (Trek) and 42 seconds into Rafal Majka (Tinkoff). Race leader Tejay van Garderen (BMC) could only manage fourth and his time loss allowed Valverde to take the overall win ahead of the American, with Mollema completing the podium. Alejandro Valverde showed again in February 2016, fourteen seasons after his pro debut, that his regularity and courage are ones from the past, something difficult to match. Despite his early season goals being still more than two months away, the Movistar Team leader, eighth overall after Saturday’s time trial in the Vuelta a Andalucía, turned the GC upside down in the Ruta del Sol. An attack full of grittiness and consistence on the climb of Peñas Blancas, end of the 171km stage five, awarded him the day’s honours and a record-setting fourth GC success. The squad directed by José Luis Arrieta and José Luis Laguía went on the attack from the very start. Juanjo Lobato, Rory Sutherland and Rubén Fernández tried their way in several attacks during the first two hours of racing, the Murcian ultimately able to go away with Geschke (TGA) and Wellens (LTS) on the first climb of Peñas Blancas. The pace by BMC behind never let his attempt gain more than 1’30”, the Spaniard eventually caught as a crash with no consequences on the ascent left Wellens alone and ahead until the last 15km. A move from Dani Moreno with eight kilometers to go derailed the Sky train at the front and prepared Valverde’s decisive acceleration - well protected by Imanol Erviti and Javi Moreno as well as all his team-mates. With 7km left, Valverde soon started opening a huge gap that grew to 50 seconds. Despite attempts from former leader van Garderen and a jump from Mollema (TFS) in the final kilometer, Valverde crossed the line with 48” over the red jersey to claim his 91st and 92nd victories as a pro, third and fourth for a Movistar Team which again found response for their efforts with a win by one of its two main references. "It's the most exciting victory of the four I've got here,” Valverde said. “It's true that the previous three were also beautiful, but I was feeling like this one was going away from my hands day by day. “It was looking harder than ever after yesterday’s time trial. But I managed to do it, which made it a very satisfying win altogether. “I felt good all the way during the stage, so I decided to try from quite a way out. That was good for both the day’s win and the overall. I saw the rest were not looking particularly strong, and I knew that if I wanted to win it overall, I had no choice but to make a long-distance attack. “I felt comfortable all stage today, despite the route being so demanding - which also was for me. The team was also doing well and wanted to try to move the race, and we profited from several other teams who wished to go on the attack to make a fast race so we could get a chance to leave van Garderen behind on the last climb. “We launched several of our guys into the early moves, with Rubén in a more serious break and Dani in the finale, and when I saw the others struggling a bit halfway through the last Peña Blancas, I knew that I had to go on a long attack if I wanted to win the GC. "Three years ago in the Vuelta I suffered more than today even if I did worse than today. I knew the climb, went again to look at it this week before the race, and knew how to tackle it. I always had time references from the team car against my rivals during the attack, and wasn't comfortable with that gap, so I just kept going and going on full steam until the finishing line. “I knew I was well, but didn't feel I could gain so much space today. I was a bit lucky, also due to the fact that they changed the route just before the race to add that second ascent of Peñas Blancas - it granted me a bigger chance. “I knew I was going well, but not as well as this! "I trained well over the winter; with good weather in Murcia, doing otherwise would be difficult. However, I saw other teams doing strong, those coming to train and race in Spain, the ones who started their seasons in Australia or Argentina... it really seems like the peloton has stepped up their game a bit compared to previous seasons in the early part of the year. “Fortunately, and despite being close to turning 36, I'm feeling as excited and fit as when I was 22, even more so today - being able to stay with the top guys in the peloton makes me really happy. "This victory is a tribute to many people. The main one is Adriano Malori: you all know he's still recovering after his crash in Argentina, and I want to wish him the best. Also the team: they all did fantastically well. The fans: both in Andalucía and in the rest of Spain, they are spectacular and treat me really well. Also, my family, the kids, all the people who support me. “My next goals? We'll be heading to Strade Bianche in two weeks, then Tirreno-Adriatico, Milano-Sanremo and then, the Northern classics, Harelbeke and Flanders above all." Tejay van Garderen has continued his tradition of opening the season on the podium, finishing in second place at Ruta del Sol. Van Garderen started the final stage in the leader’s jersey after taking the win in the Individual Time Trial on stage 4, but the stage win and overall race win was secured by Alejandro Valverde (Movistar) who attacked on the final ascent of the Alto Penas Blancas climb. “I picked my moment with about 3km to go and tried to put my head down and claw back enough time to keep the jersey, but it wasn’t to be. Hats off to Valverde, that was a good move. He pulled it off with a lot of guts, it was impressive,” van Garderen said after the stage. “Sky made a really hard tempo in the beginning, so it kind of isolated us, but it also isolated them, so then it kind of made room for Alejandro to get away. “I was left with only one guy to chase, Brent Bookwalter, we were missing a couple of our climbers there. “So the gap was stretching out and stretching out and I had to wait for the right moment to go when the climb was hard and people were tired. BMC Racing Team Sports Director Valerio Piva said it was a good way to open the season. “Of course when you come so close to winning it is a bit disappointing but I saw how strong Tejay is and the team was fantastic in controlling the race today and bringing him to the final climb. The team did a great job this week and we’re happy to have won the teams classification. Damiano Caruso held onto his lead in the King of the Mountain classification and BMC Racing Team finished the five-stage race as the best team, capping off a successful first time at Ruta del Sol. “I’m really happy to have won the King of the Mountain classification. It’s a great way to start my season and I hope to continue with these kind of results this year,” Caruso said. BMC Racing Team kicks off the Classics campaign in Belgium with Het Nieuwsblad in one week’s time, where Philippe Gilbert will be an important leader for the team. “Ruta del Sol was a great race to prepare for the Classics. We always need to be better and better every week, that’s the goal. After a good week of racing here, I think that If I can recover well, I can do well in the coming weeks,” Gilbert explained. "These are the days I like most: mountain stage with 1st uphill finish of the season." These are the words Bauke Mollema tweeted ahead of the final stage in Vuelta a Andalucia (Ruta del Sol) and by the top he made good on his statement, crossing the line in second place and clinching third place in the overall classification. "I felt good the whole day and the whole week I have felt good on the uphills," Mollema said. "Today I found the confirmation I was looking for in the first stage race of the season and quite a hard parcours this week. I am satisfied, I was hoping to go for the win, but yeah I think Valverde was too strong today, so he deserved it. I think I got the maximum out of it and also to finish on the podium of the general classification. It was a good day, the boys worked hard today, everyone did their best to help me as much as possible. It was a good test this week." Alejandro Valverde (Movistar) won the stage after he launched a solo attack at the mid-way point of the final 14-kilometer ascent. Valverde gained a minute's advantage before race leader Tejay van Garderen (BMC) responded at three kilometers to go. Bauke Mollema and Rafal Majka (Tinkoff) were the only ones able to match the American's acceleration, and the trio pulled within 40 seconds of Valverde one-kilometer from the line. "It was quite early when Valverde went, seven kilometers to go, and it was a really strong attack; he's an explosive guy, and I could not follow at that moment," explained Mollema. "Afterward, the speed in our group went down a little bit as riders were looking to each other. The speed was not fast enough, so he took 30 seconds quickly, and it was not up to me to chase since I was about 15th in GC before today. So I was waiting for the other guys to go and in the last kilometer I could do my thing." Within the final 1000 meters, Mollema jumped from behind van Garderen and opened an immediate gap to seal second on the stage, 36 seconds after Valverde. The late attack allowed Mollema to gain a few precious seconds advantage, which proved crucial in the final GC calculations when he bettered Wilco Kelderman (LottoNL-Jumbo) for the final podium step by a mere four seconds. "I knew I was 20-30 seconds behind four or five riders, and I looked back once [on the climb] because I was not sure of the differences at that moment so I just wanted to go full until the finish," continued Mollema. "At the end, I think it was only four seconds ahead of the fourth place. It was all I can do. I am happy, especially uphill the feeling is good. "I have been training a lot in the mountains the last couple of months, more than I have in the past because I want to keep improving myself as a climber, and I think today was a good confirmation for that. I am looking forward to Tirreno [Adriatico] and the next races." "The feeling I had at the beginning of this stage today is that we can win it," said director Alain Gallopin. "And Bauke's finish today confirmed my feelings. We ended with two times second in stages and a third GC, maybe not a win as we hoped, but confirmation we are where we want to be. "Bauke did a nice Chrono yesterday, and I expected a lot today. That's why Bauke was waiting, waiting. Valverde looked very strong, and tactically we decided to wait and jump at the last moment. It was not up to us to work for BMC; they pulled all day, maybe for me a little bit too much, and we waited and at the end Bauke was good and this I knew from the beginning." The entire Tinkoff squad worked brilliantly to position the two team's two climbers at the bottom of the climb, where the peloton had been reduced to a group of approximately 30 riders. With 10 km to go, just a select group of riders remained in front, dwindling as the steep climb put a strain on their legs. Rafal Majka kept a steady pace and although unable to follow Valverde's attack, he crossed the finish line with a solid third and Roman Kreuziger close behind in fifth. The team's co-leaders advanced to fifth and sixth in GC, capping off a very positive week. "We can be pleased with both the fifth place in the GC and the two stage victories. I think this week went well and I can't think of anything that stands out where we could have done better. It's important now to get the right form for the season's big goals, which will be the Giro d'Italia," concluded Majka. "We had a very positive week in every sense, both in terms of victories with Daniele Bennati and Oscar Gatto, as well as in terms of feedback we had from the boys regarding their form. All these things make us very optimistic in view of the upcoming events." Wilco Kelderman placed seventh in the final stage of the Ruta del Sol and sealed fourth overall in the general classification. 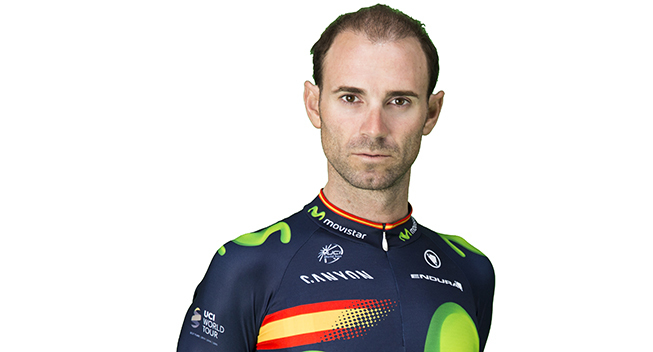 Alejandro Valverde (Movistar) won the day’s mountain stage and race overall. The last stage had a hard profile. The 171-kilometre stage from San Roque to Puerto Peñas Blancas served up five climbs for the peloton. After a few skirmishes on the road, only the strongest remained in the race and Kelderman was in the elite breakaway. "I think it was a fair fight," said Sport Director Addy Engels after the race. "This is the level of Wilco Kelderman now. When Valverde attacked, nobody really had an answer. But if you can be that strong in your first race of the year, in a field like this, then you are doing well with a fourth spot in the GC. “The boys protected Wilco until the foot of the last climb. Kruijswijk, Tjallingii, Battaglin and Lindeman were there. It was a hard race today with a fast pace. If you are able to do this then you know that our men came out of the winter well. So I'm very happy where we are now." Over the winter, the team invested much time and effort in lead-out trains. The first results are now visible. "Sometimes I refer to the agreements that we made during our training camp with the Dutch Royal Army," he continued. "Our base is good. The thing now is to develop our condition further because our competitors are not standing still." Wilco Kelderman was very satisfied with his performance in his first race of the year. During the time trial, he was narrowly beaten by Tejay Van Garderen. Today, although he lost some places in the overall standings, he consolidated his position in the top 10 of the rankings. "I'm happy with my performance here in the Ruta," Kelderman said after the stage. "Today there were more than 4000 meters of climbing, and if you perform like this in your first race of the year, you know you came out of winter well. I built my condition step by step. First given much attention to my back where I had some trouble with last year and then I trained hard. It roles good and it gives me confidence." Kelderman’s next race is France’s Paris-Nice stage race, March 6 to 13. Wout Poels and Mikel Nieve both wrapped up top-10 finishes at the Ruta del Sol after a superb display of climbing saw Alejandro Valverde take the stage and overall victory. The Team Sky duo started the day in sixth and 35th places respectively, and were aided by some solid support during the final day of action. Ben Swift worked his way into an early 13-man move, and then Nicolas Roche jumped over to Tim Wellens with Jerome Baugnies (Wanty Groupe Goubert) after the Lotto Soudal rider had opted to go solo after the third classified climb. The trio were hauled back by the BMC Racing-led peloton as they began the final climb of the day, and once the catch had been made Team Sky quickly assumed pace-setting duties. Vasil Kiryienka's efforts blew the bunch to pieces on the Peñas Blancas and only 20-or-so riders remained by the time he pulled over in the last 8km. Gianni Moscon had ridden brilliantly to keep Poels well positioned up to that point, and then Nieve strung the bunch out even further before Valverde (Movistar) made his decisive move 7.1km from home. Nieve was the first Team Sky rider home in ninth position - impressive given his work earlier on the climb - with Poels crossing the line 17 seconds behind his team-mate in 11th place. Those results saw Poels finish 7th on the general classification, with Nieve a hard-fought 10th. Sports Director Dario Cioni was pleased with the effort his riders produced over the five days of action and believes it will stand them in good stead for future races. "The team rode really well today, just as they have done all week. Swifty tried to get in the break and then Nico got himself in a move which really put the pressure on BMC. "We kept the tempo high on that last climb and had good numbers on the front - which was great to see - and then it was man against man. Wout felt good early on but wasn't in top condition at the end, so unfortunately it didn't turn out quite as we'd hoped for him. "Mikel deserves praise for the way he rode today. It's incredible how he is up there all season long, and Gianni was also impressive. This race has been one of discovery for him as it's his first mountainous one as a professional, and he's shown us some really good numbers." Team Dimension Data for Qhubeka were constantly part of the action as the African Team were looking to secure a decent stage result. At one point Cameron Meyer was part of a large move of 11 riders but Movistar brought everything back together once again. With 8km to go, only 21 riders remained at the front of the race and the African Team was represented by Igor Anton and Omar Fraile.. Anton followed the wheels of the main general classification contenders and a measured effort saw him finish the stage in 8th position. “I knew how hard this stage was going to be because we did this same climb during the 2013 Vuelta a Espana. Today's result has been really important for me and for my confidence. It was a small test which has allowed me to gauge my condition. Valverde was very strong but I could stay with the other GC contenders all the way to the finish. I am happy with where I am and I need to continue in this way,” Igor Anton said. “It was a super hard day. The race started really fast with a new breaks constantly going off the front all the time. Movistar made the race especially hard. Halfway through the race, 3 riders got a lead that touched a 1'30" lead, but 2 of them were less than a minute down on GC. BMC chased hard until over the top of the 2nd last climb. When we started the final climb there was only 50 riders in the group. Omar did a great job supporting Igor who finished 8th, a nice result with some great Tour de France contenders in the mix,” sports director Alex Sans Vega said. Lotto Soudal rode a very attractive race. Tosh Van der Sande, Bart De Clercq and Tomasz Marczynski tried to join an early breakaway but they never got much advantage. Tim Wellens managed to get away together with two riders. After that he was alone in front for a while and then two other riders joined him. They were caught just before the start of the final climb. Sports director Bart Leysen reviews a tough week in Spain. “In general we are happy with the performances during this stage race. We came to win a stage but unfortunately that didn’t work out. But we’re very pleased about the final stage. The riders really did their best to animate the race. In every break we had one or two riders but BMC controlled every attempt. Eventually Tim Wellens managed to get away, although it wasn’t intended that he would attack so early in the stage. But we’re really happy with the efforts of the team during this stage. “Tim Wellens was in a good shape during several stages and I think he had a decent preparation towards Paris-Nice. He tried to get away in one or two stages. ”Also Bart De Clercq rode really well. He was a bit sick in the beginning of the race but in every stage he felt better and better. Today he managed to stay with the GC group and that’s good with regard to Tirreno-Adriatico. The Ruta del Sol presented a very strong line-up again. Sports director Hilaire Van Der Schueren travelled to the south of Spain with a part of his Spring Classics’ team: Frederik Backaert, Frederik Veuchelen, Dimitri Claeys, Tom Devriendt, Jérôme Baugnies, Thomas Degand and Kévin Van Melsen. On the first day, a stage between Almonaster la Real and Sevilla measuring 165,2 kilometres, Jérôme Baugnies caught the right breakaway. In the only intermediate sprint of the day, the so-called meta volante, Baugnies grabbed the maximum amount of points. The jersey belonging tot his ranking was his for the following four days. In the final stage Baugnies managed to keep the jersey in great fashion. In a stage withover 4,000 altitude metres Baugnies found himself in the first peloton on the penultimate climb. He attacked just before the top of the Peñas Blancas with Nicholas Roche (SKY). The points for the ‘meta volantes’ ranking waited at the end of the descent in Estepona and Baugnies gracefully was granted the win in the sprint by Roche and fellow breakaway rider Tim Wellens (Lotto-Soudal). Mission accomplished. “That it wouldn't be a piece of cake was quite sure from the start and I knew this all along. However, I have been feeling better all week. Two times I was almost there where I needed to be but didn't make the connection in the end. The Omloop Het Nieuwsblad is my first goal of the season. With his form I travel to Belgium with the utmost confidence on Saturday." In the overall classification Thomas Degand was the best rider for Wanty-Groupe Gobert. He finished in 16th place, and second Belgian. He looks back positively at the week of racing in Andalucia. Caja Rural had to overcome numerous setbacks. First, an ill-timed puncture prevented Carlos Barbero from taking part in the sprint on stage 1 and later, David Arroyo got sick and was forced to abandon the race before the time trial on stage 4. On the bright side, Hugh Carthy showed good shape once again as he finished as the team’s best placed rider on the steep Peñas Blancas on the final day of racing. “We can’t really be satisfied with this race. Arroyo had to abandon due to sickness, Pardilla had problems with his knee and Aramendia, too, had to quit the race due to physical problems. On the upside, our young riders Carthy and Rosón showed off the team’s colors very well during the race”. The first victory for Raymond Kreder in the jersey of Roompot - Orange Peloton is getting closer And there is still work to be done for a number of climbers in the team. Those are the two main conclusions after the Vuelta a Andalucia Ruta Ciclista del Sol. The 62nd edition of the stage race in southern Spain was won by Alejandro Valverde, but the Dutchmen animated the race. In addition to strong performances by Mollema, Kelderman and Poels who fought for the victory, Raymond Kreder was also in the spotlight. The Dutchman was in the top 10 three times and after the third stage he was even close to wearing the leader's jersey. Because Kreder was third behind winner Gatto and Swift, he was one point shy of taking the first leader’s jersey of his career. In the first two stages the former national madison champion had already finished eighth and fifth. Kreder thus confirmed that his form from the start of the season is great. That’s not the case for some of the climbers that were in Andalusia. Maurits Lammertink is still not at his best after his broken collarbone last year, Antwan Tolhoek showed himself well with an escape in the final stage, but did not finish. And Marc de Maar had to retire early. Due to a knee injury he did not start the third stage. Huub Duijn ended in 34th overall as the best placed Roompot rider. Team Giant-Alpecin animated the final stage of the Ruta del Sol in Andalucia with Roy Curvers and Simon Geschke both in breakaways attempts. Curvers made the first breakaway of the day with 12 other riders but it proved quickly unsuccessful. This was then followed by Geschke’s attempt with two riders. They managed to build a maximum advantage of 1’30” over the peloton but Geschke crashed during a descent. He managed to get back on his bike but it brought to an end his chance of stage victory. At the same time, Tobias Ludvigsson had some mechanical problems with his bike and he spent a lot of energy rejoining the peloton. Tobias Ludvigsson did his best to follow the front group but the climb was very difficult and he eventually got dropped with his chances of a top 10 finish disappearing very quickly. Sam Oomen was the first home for Team Giant-Alpecin in 36th place as the finishing drag proved too much for Tobias Ludvigsson who faded and he ended in 50th place. Unfortunately, Roy Curvers and Frederik Ludvigsson had to abandon the race as the stage took its toll on the riders. Coach Arthur van Dongen said: “The aim of the stage was to be in the breakaway with some riders. We managed to have Roy and Simon in two breakaways but they both got caught by the peloton. In the second breakaway, Simon was involved in a crash but he was able to continue the stage. “In the uphill finish, we managed to have Georg [Preidler], Sam and Tobias in the front group but the pace was too high and Tobias wasn’t able to follow as he got dropped in the first kilometers of the climb.